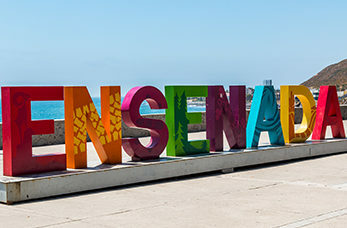 Ensenada has become Mexico's second most visited port of call, it was once a favourite hideaway for high rolling Hollywood stars drawn by the warm Mediterranean climate and friendly atmosphere. One of the largest marine geysers in the world is a top tourist attraction, watch as the waves break against a cave shooting sea water over 65 feet in the air. Prepare to get wet! Opened in the 1930's this former casino attracted celebrities including Al Capone. Take a stroll through the gardens and visit the museum. Enjoy a tour and wine tasting in one of Baja's premier vintners. Varieties include cabernet, chardonnay, merlot, pinot noir and more. Witness the wine-making process, from the crushing of the grapes to fermentation, pressing, aging and bottling at one of Mexico's finest wineries.